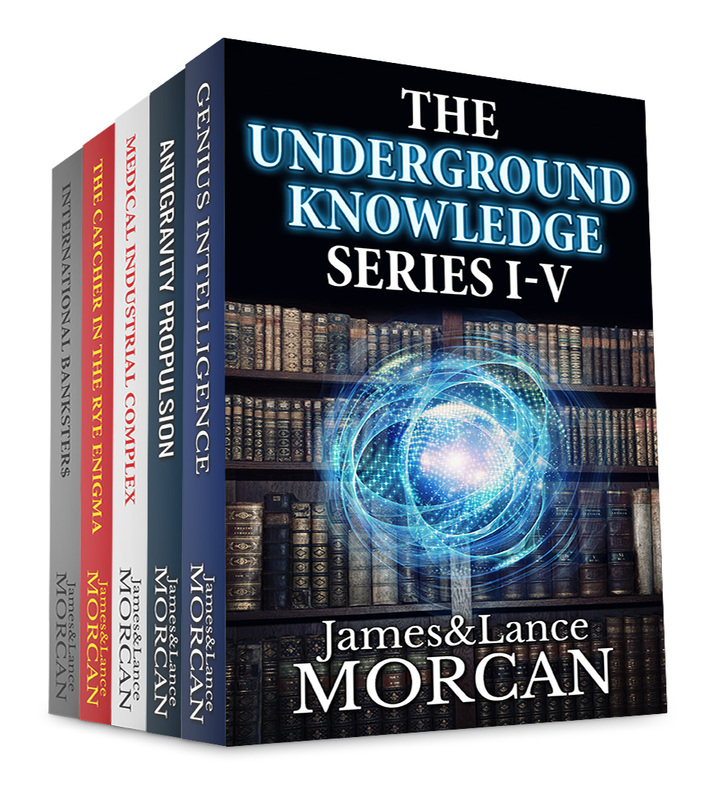 “THE UNDERGROUND KNOWLEDGE SERIES I-V” five-book box set available now! We are pleased to announce the launch of THE UNDERGROUND KNOWLEDGE SERIES I-V (Genius Intelligence / Antigravity Propulsion / Medical Industrial Complex / The Catcher in the Rye Enigma / International Banksters) — available exclusively on Amazon. Box set comprises five books in one. This book (with foreword by leading scientist Dr. Takaaki Musha) shatters the myth that geniuses are born not developed. It reveals how most instances of above-the-ordinary intelligences are acquired thru superior cognitive techniques or brain enhancing technologies. Drawing on the latest findings in neuroscience, it lists dozens of practical methods to increase IQ and speed-learn any subject. Among the discoveries shared are brain waves common to geniuses and various ways to induce those brain waves. ANTIGRAVITY PROPULSION: Human or Alien Technologies? A far-reaching exploration into the UFO phenomenon (with foreword by advanced interstellar propulsion systems expert Grant Hayman and afterword by leading scientist Dr. Takaaki Musha) that covers all possible scenarios and discounts nothing. It includes never-before-mentioned accounts of popular UFO topics like Area 51, Roswell and alien abduction claims, and lesser known subjects such as Nazi and Japanese antigravity experiments. An explosive book (with afterword by retired pharmacist Denis Toovey) that explores the contention Big Pharma and other participants in the healthcare sector put profits ahead of patients’ wellbeing and dollars ahead of lives. This no-holds barred critique of mainstream medicine urges readers to stop giving away complete responsibility to doctors and other healthcare providers, and to take more responsibility for their own health. THE CATCHER IN THE RYE ENIGMA: J.D. Salinger’s Mind Control Triggering Device or a Coincidental Literary Obsession of Criminals? This book unearths the mysteries surrounding arguably the most controversial book of all time – J.D. Salinger’s 1951 novel The Catcher in the Rye. It examines the theory that, in league with the CIA, coded messages were implanted in that novel, inspiring some of the most infamous crimes of the 20th Century…including the murder of John Lennon and the attempted assassination of President Reagan. This book identifies who is responsible for the gigantic financial gulf that separates the top 1% of the population from the common people, or the 99%. The financial overlords named and shamed include the powerbrokers at Wall Street banks, European central banks, the US Federal Reserve and the Vatican Bank, as well as elite banking dynasties. The authors also propose ideas for creating a fairer economic system. ‘Genius Intelligence’ book on special this week only! 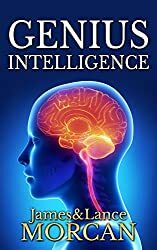 GENIUS INTELLIGENCE: Secret Techniques and Technologies to Increase IQ, book one in our Underground Knowledge Series, is on special this week at only 99cents via Kindle. Among the discoveries we share with readers are brain waves common to geniuses and the various ways to induce those brain waves; mental techniques the world’s elite and A-List celebrities are quietly using to help them process information while they’re asleep or in virtual worlds; chemical substances students and academics the world over employ to kick-start the brain into overdrive; and cutting-edge technologies business tycoons and professional athletes employ to gain a cerebral edge over their competitors. Drawing on the latest findings in neuroscience, Genius Intelligence lists dozens of practical methods to increase IQ and speed-learn any subject. Have you ever accessed the Deep Web and looked at any of the “secret” content on the Internet that’s not indexed via Google or other regular search engines? That’s the question posed in the latest poll in our Underground Knowledge discussion group on Goodreads.com – and interim results show few have (accessed it). As of August 26 (US time) only 12% of poll respondents claim to have accessed the Deep Web; the balance either haven’t or are unsure. It seems like the Deep Web could potentially have a lot of positive benefits…Kind of like the last line of defence if governments turn fascist or otherwise totalitarian. For example, the documentary mentioned how the Deep Web is being used in nations like China and Iran where the regular internet is highly censored by those governments and most (innocent) citizens are spied on. But again, the Deep Web definitely seems like a place where networks of criminals can work undetected and orchestrate crimes such as human trafficking more effectively. As it is with almost everything, what makes the Deep Web dangerous is not the Deep Web itself, but the intent of one when accessing it. For instance, I know that some people go there and download technical books – mostly needed for work/academical reasons – when they can’t find such books anywhere else. That can’t be bad, right? But then again, if you go there looking for bad stuff, you might end up finding it. No, and it doesn’t have any appeal for me either! The news media kept telling me only criminals use the Deep Web…But then I heard 96% of the internet is the Deep Web that’s invisible to most users and that accessing the Deep Web is perfectly legal. So the criminal side is just one side to it, by the sounds of it. So now I’m wondering if there may be some useful or even life-changing info in that 96%…But I don’t pretend to understand the Deep Web and the concept is hard to get my head around it. As far as I know, there is nothing illegal about accessing the Deep Web. What is illegal is to access it with criminal intentions in mind. There are actually very “out there” softwares that allow you to access it with considerable safety. Deep Web for Journalists – Comms, Counter-Surveillance, Search looks along the lines of what I’m wondering might happen in future i.e. 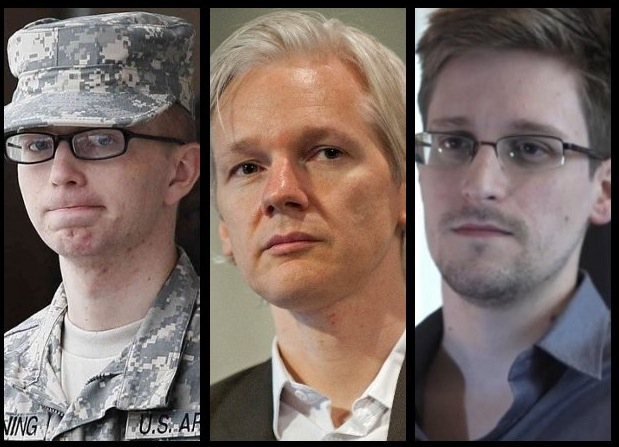 The Deep Web could become a way for whistleblowers to protect themselves. As the mainstream media has repeatedly reported, there is obviously some really dark and sickening stuff occurring on the Deep/Dark Web – including crimes against children and even the hiring of assassins online to kill other citizens. Poll ends September 7, 2015. 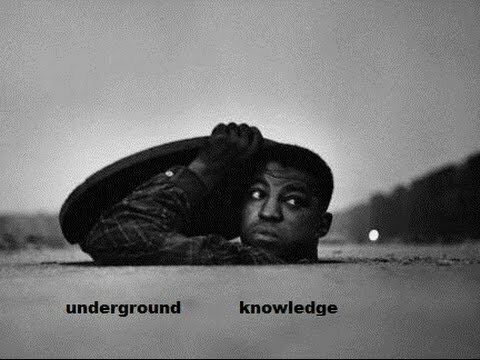 The Underground Knowledge discussion group is open to everyone! All you need is an enquiring mind, an interest in the world we live in and a desire to learn or to uncover “underground knowledge” on important issues of our times. This group is also for like-minded people to discuss the controversial topics explored in The Underground Knowledge Series, which includes the non-fiction books Genius Intelligence, Antigravity Propulsion, Medical Industrial Complex and The Catcher in the Rye Enigma. No subject taboo in our ‘Underground Knowledge’ group on Goodreads.com — Check it out! Flight MH370, Princess Diana, Boston Bombings, 9/11, suppressed science, hidden cures, MK-Ultra, undeclared fortunes, drugs wars, media manipulation, banned books of Bible, global warming and more… No subject is off limits in our Underground Knowledge group on the popular literary site Goodreads. Membership of the group has just topped 1100, reinforcing our belief that members welcome our freedom of speech policy and our no rules ‘rule’. The group is open to everyone! All you need is an enquiring mind, an interest in the world we live in and a desire to learn or to uncover “underground knowledge” on important issues of our times. Our members include scientists, journalists, moms and dads, historians, doctors, whistleblowers, authors, bankers, teachers, intelligence personnel, housewives, students, Army vets, pacifists, conspiracy theorists, the odd redneck and the Average Joe. Everyone’s welcome! What really happened to AA Flight 587? Is the Islamic State (IS/ISIS) another invention of the West? Global Warming – is it real? Are aliens visiting Earth or not???? How much is Queen Elizabeth II worth?? Membership of our contentious Underground Knowledge discussion group on Goodreads.com has topped 1000, making it one of the liveliest and fastest growing groups on the popular Amazon-owned literary site for readers and authors. There’s no doubt the group’s growth and activity are testament to its freedom of speech policy. Anything goes…and members aren’t slow to exploit that! No subject is off limits. The fact that this group has no rules may also have something to do with its popularity. Evidence for scientifically advanced Ancient civilizations? November 22, 1963. Dallas, Texas. New Zealand father-and-son writing team Lance and James Morcan have secured an Arabic translation rights deal for one of their non-fiction books with major Saudi Arabian publisher Obeikan Publishing. The book, titled ‘GENIUS INTELLIGENCE: Secret Techniques and Technologies to Increase IQ’, was published last December by Sterling Gate Books. The first book in the Morcans’ ‘Underground Knowledge Series’, it includes a foreword by acclaimed Japanese scientist Dr. Takaaki Musha, and is already a permanent fixture in Amazon’s bestseller lists. Translation rights deal a first. In his foreword, Dr. Musha says he believes believe this is a much needed book for those who sense there are faster and easier ways to learn and study than the methods currently being taught in mainstream education systems. “It contains a wide range of genius methods – all of which have the potential to increase your IQ,” he says. Lance says he and James have contracts with foreign literary agents around the world, ensuring they have representation for the translation rights for all their fiction and non-fiction books in all languages. The Saudi agreement is their first foreign language deal. 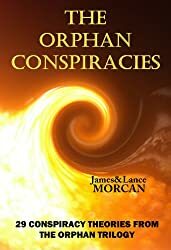 The Morcans now have 10 published titles, including the international thriller series ‘The Orphan Trilogy’ and historical adventure series ‘The World Duology’, with two more titles to be released in the coming weeks. One of these is ‘Medical Industrial Complex’, book three in ‘The Underground Knowledge Series’.